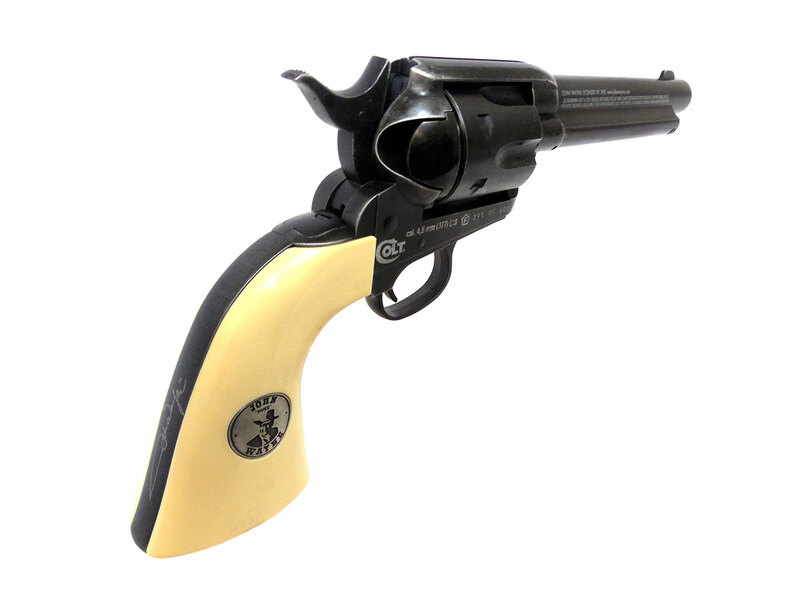 This copy of the Colt Single Action Army / SSA was made to commemorate the 40th Anniversary of classic John Wayne film, The Shootist. 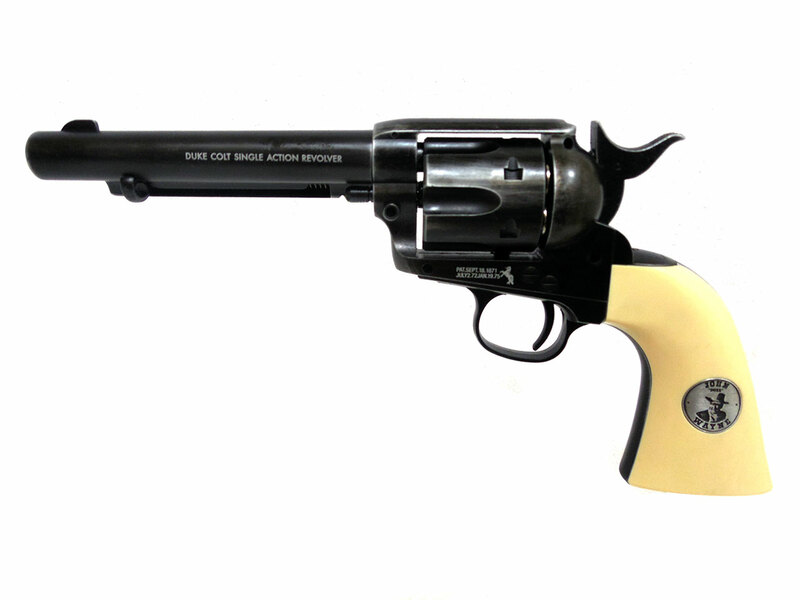 Each one is numbered from 001 to 600. 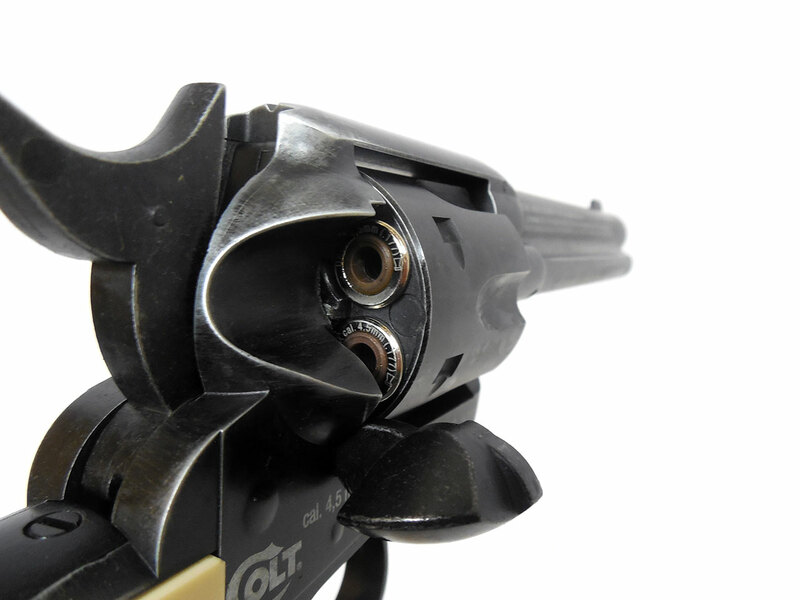 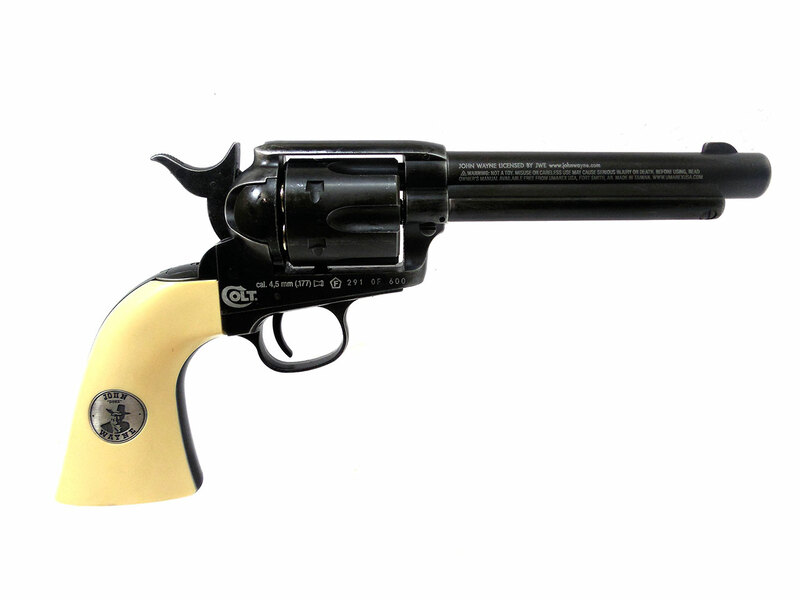 This CO2 powered revolver shoots .177 caliber pellets held in a bullet shaped cartridge placed into each chamber. 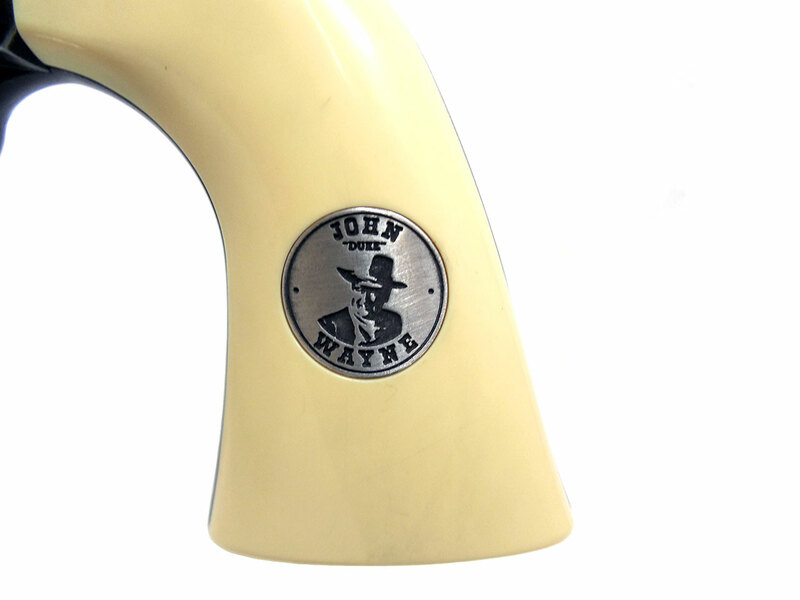 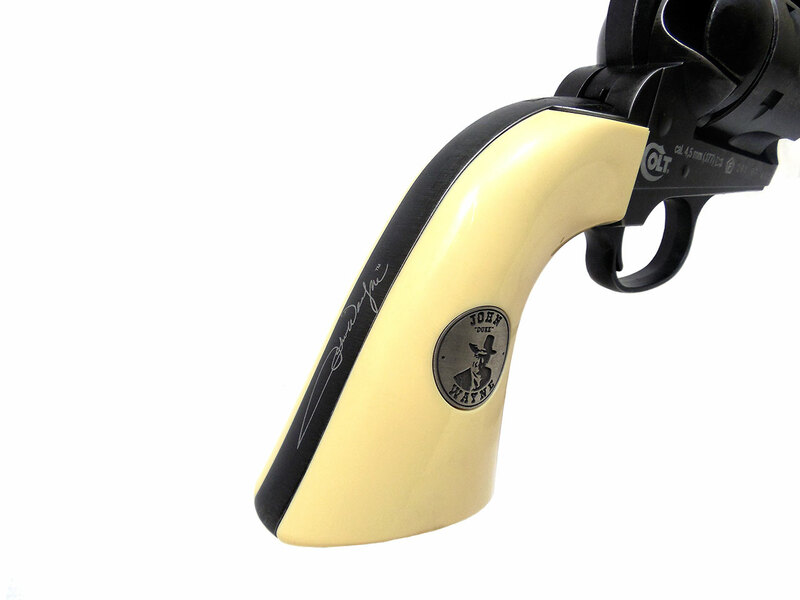 The look is completed with a weathered finish to the metal, and ivory colored grips with the John Wayne medallion and reproduced signature on the back strap.